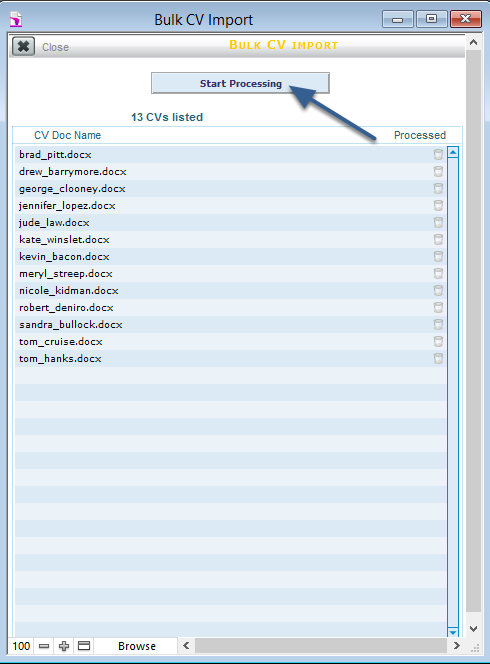 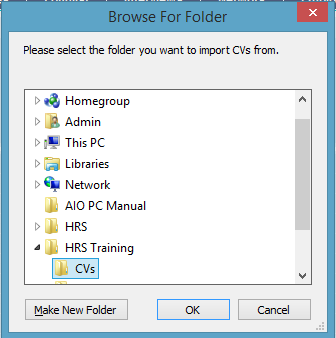 Multiple CVs can be imported into HRS. All the Bulk CV imports to date are shown on the left hand side in date order. 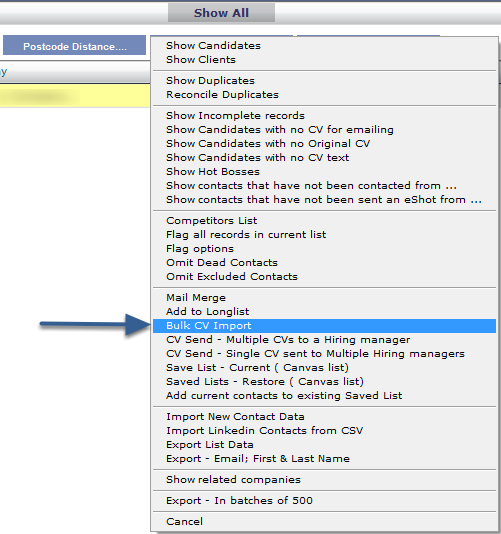 The successfully imported CVs (green ticks) on the right hand side. 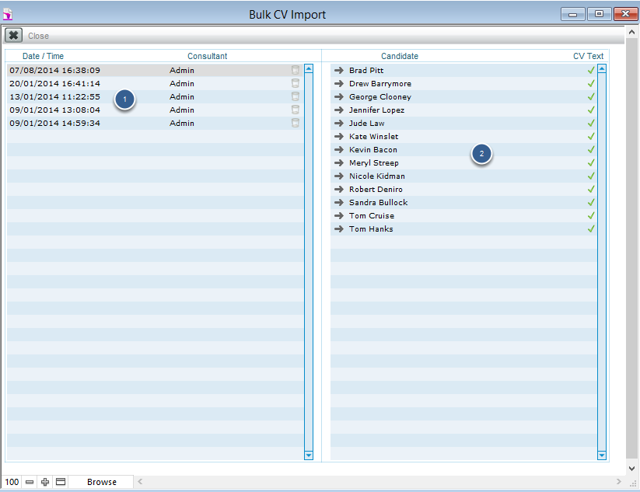 Any unsuccessful imported CVs will be displayed with a red circle with a line through.